The Tofino Paddlers Inn, perched on the harbour front in downtown Tofino is a property with character. 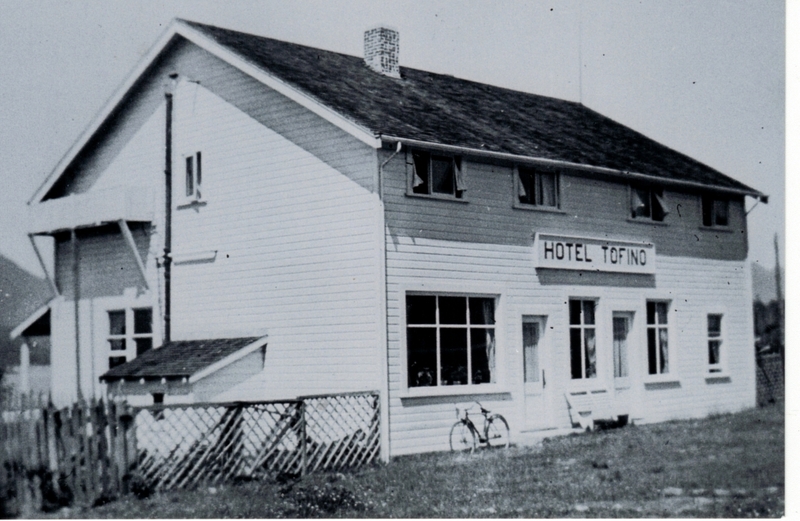 The physical building is nearing 100 years old, and is the original hotel in Tofino (the ‘Hotel Tofino’). The summer sunset seen from the property is a highlight of every stay. We pride ourselves on offering a Clean simple accommodation option for the self supported traveler. With only 5 rooms, and shared facilities, many new friendships may be made. Don’t forget to check out the ‘Webcam‘ mounted on the water side of our building. The Paddlers Inn has two Shared Washrooms and Showers (each separate washroom is single occupancy). There are no en suite washrooms. Suitable for guests 5 years and older. No unaccompanied minors are permitted. This is a non-smoking facility. A $250 cleaning fee will be applied to anyone who smokes on-site. Check In Time is 3:00pm. A late night-emergency contact number is posted on the front door of Tofino Sea Kayaking. The front door of the property has a coded number-pad lock. Your access code will be the last 4 digits of your confirmation number we sent to you.